May is National Military Appreciation Month, and Chevrolet is honoring the men and women who have served and are serving in the U.S. military. Not only is the expanded General Motors (GM) Military Discount Program running through the end of May, but Chevrolet has also formed a partnership with the National Navy SEAL Museum. 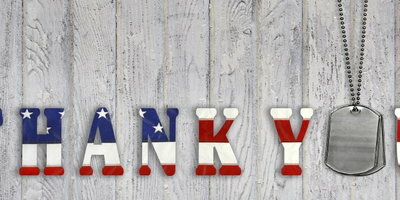 May is National Military Appreciation Month because it has the most days set aside for celebrating and commemorating our nation's military personnel and achievements. To help celebrate National Military Appreciation Month, Chevrolet will donate a portion of the proceeds from all sales of the Special Operations 2016 Chevrolet Silverado to the National Navy SEAL Museum. The donations will aid the museum and their charitable efforts that help the families of fallen, injured, and active duty military. The museum and its foundation provide assistance to military families through their efforts with the Trident House Charities Program and the Navy SEAL Museum Scholarship Program, among other endeavors. The National Navy SEAL Museum is located in Ft. Pierce, Florida, on the very grounds where the Navy's first Underwater Demolition Team (UDT) trained during World War II. It is the only memorial in the world dedicated to the UDT divers and Navy SEALS who have served our country. The names of these service men and women are carved into black granite panels on the walls of the museum. The 2016 Special Operations Silverado, which was revealed in the fall of 2015, features naval inspired graphics and is available for sale throughout the U.S. Anybody who is interested can learn about pricing and availability at Chevrolet.com or by visiting their local Chevy dealership. When Chevrolet announced their partnership with the National Navy SEAL Museum at the end of April, they accompanied their release with a couple of fun facts. 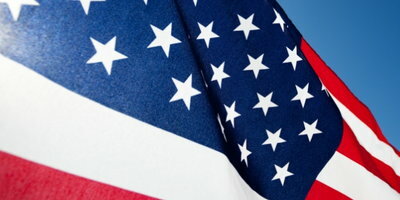 The tidbits highlight Chevrolet's tradition of supporting the U.S. armed forces. With the threat of Nazi Germany growing, President Franklin Delano Roosevelt implored William Knudsen for his help. Knudsen, who was president of Chevrolet and later GM, left his high-paying job to head up U.S. war production efforts during WWII. Knudsen rounded up manufacturing leaders, especially those in the auto industry in Detroit, and helped convert America's economy into a mass producer of artillery shells, tanks, airplanes, and more. Knudsen went on to become a U.S. Army Lieutenant General and received the Distinguished Service Medal in 1944. It is generally agreed upon that no American city contributed more to the Allied powers during World War II than Detroit. President FDR called upon the nation's manufacturing powerhouses to build the "Arsenal of Democracy," and Chevrolet was ready to help. 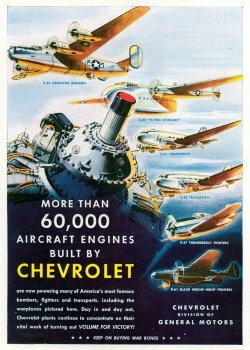 Between 1942 and 1945, Chevy manufactured hundreds of thousands of bomber and cargo plane engines, trucks, cannon barrels and scout cars; as well as millions of artillery shells, aluminum and magnesium forgings and grey iron castings. 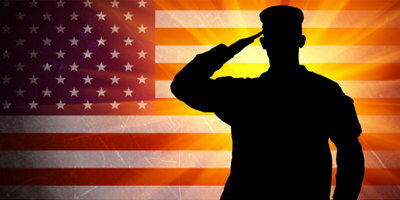 Last month, General Motors expanded their military discount program to run through May 31, 2016. 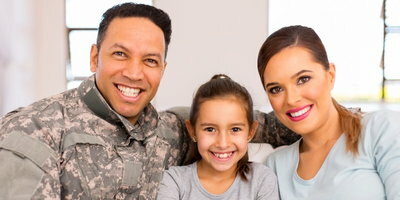 U.S. military personnel - including veterans, retirees, active duty, and reserve - and their spouses - are eligible to receive a discount on select new Chevrolet, Buick, and GMC vehicles, regardless of their separation date. This latest program from GM means that eligible military personnel and their spouses will be able to buy select new cars, at invoice cost, for the model and options. The best part: in most cases, the discount can be combined with GM's most current incentives. If you are eligible for the discount, all you need to do is head to Chevrolet's website to register for an account, at which time you will receive a discount code to bring into the dealership. However, the program is voluntary so you must make sure that the GM dealership you're working with is participating. The discount is extended to all military members (and their spouses) of the U.S. Air Force, Army, Navy, Marines, Coast Guard and National Guard. 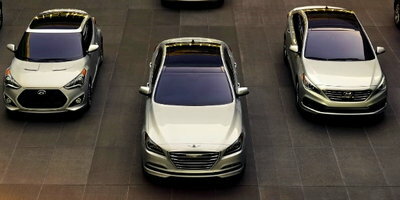 GM's Military Discount Program can work even for those buyers with less than perfect credit. This great deal can help these service men and women save money on a new car and reduce the overall interest charges of a loan. But when you are dealing with damaged credit, you need to work with a dealership that has a special finance manager capable of working with you. 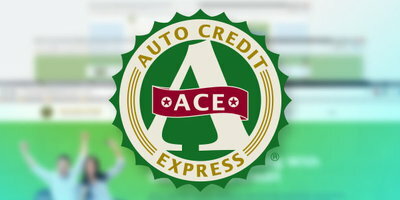 Military personnel or not, Auto Credit Express can help credit-challenged consumers locate a dealership that is equipped to handle unique credit circumstances. 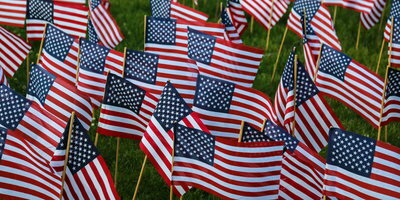 At Auto Credit Express, we appreciate and respect our fellow citizens that serve our great country and protect the people in it. Our network of dealers that offer bad credit loan opportunities can help you get approved, and some can help you take advantage of GM's great discount program. We can help you next if you simply complete our fast and secure online application. It only takes a few minutes of your time and doesn't cost a thing.